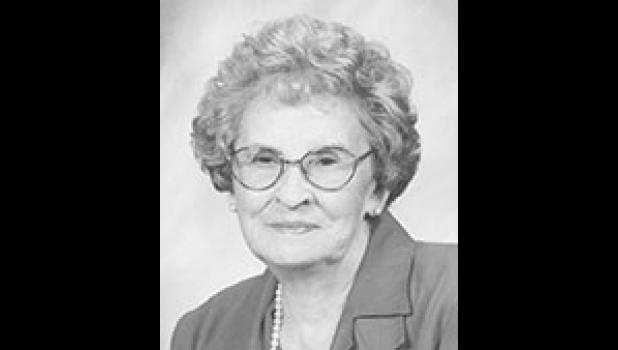 Iva Rose Blackwell Wood, 99, widow of Carroll Guy Wood, passed away April 23, 2018. Surviving are two sisters, Ernestine “Tina” Scroggs and Hilda Morris, both of Greer. She was predeceased by five sisters, Beartha Anders, Allaree Armstrong, Maggie Armstrong, Ruth Smith and Frances Stewart; and five brothers, Woodrow, Virgil, Durham, Ele and Grover Blackwell. Funeral services will be held 2 p.m. Wednesday, April 25, 2018 at The Wood Mortuary, conducted by Dr. Drew Hines and Rev. Donel Kelley. Burial will follow in Hillcrest Memory Gardens. Pallbearers will be Johnny Stewart, Bobby Scroggs, Carson Scroggs, Brad Moon, Tommy Blackwell and Gary Blackwell. Memorials may be made to Spartanburg Regional Hospice Home, 686 Jeff Davis Drive, Spartanburg, SC 29303 or Greer Community Ministries, P.O. Box 1373, Greer, SC 29652.